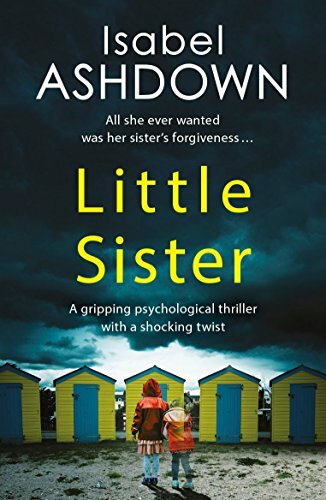 I've had my eye on Little Sister for a while so I couldn't resist picking it up to see what all the fuss was about. Yes, I expected a twisty psychological thriller but what I didn't expect was such a fast-paced dual timeline story that had me suspecting EVERYONE!! 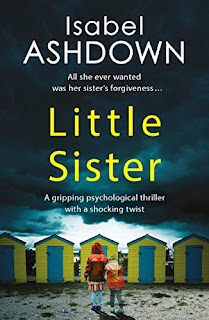 Sometimes I didn't even know which 'Little Sister' the book was named after - it really is SO good. Emily and James have a baby daughter, Daisy. Daisy is the Little Sister of James' teenage daughter, Chloe. When Emily and James go out to a party to welcome in the New Year, Daisy is left in the care of Emily's Little Sister, Jess. When Emily returns home, she finds Jess collapsed on the floor and Daisy missing. As the police hunt for Daisy, we delve into the dark and dusty background of each and every member of this family, discovering more skeletons in the closet than the ghost train at the fair. Emily and Jess have been apart for many years and have only just been reunited when Jess returned for their mother's funeral. As we look back into their past, we find such deep rooted sibling rivalry that was quite cleverly hidden. On the surface they appear to be loving sisters, but underneath...dare I say it, I think they hated each other! That was all in the past, though - wasn't it? Meanwhile, Chloe is lying and sneaking around as she spreads her rebellious teenager wings. Could she have put her Little Sister in danger? Then we look at Emily and James - why did Emily return from the New Year's Eve party without James? What happened to James' first wife and why won't he marry Emily? So many questions with such ripe juicy answers just waiting to be plucked within the pages of Little Sister. You seriously won't be able to put Little Sister down! I thought I had it all worked out on many an occasion, only to be proved wrong time and time again. I gave my eyes a total workout as they whizzed over the pages of this riveting book and I can't recommend it highly enough.